If you have made any renovations, home improvement or repairs in your property your rooms are probably filled with dust and debris. You can bring them back in shape by using our professional cleaning services. We offer thorough and effective after builders cleaning suitable to be used in houses and other estates, based in Kilburn or in the neighbourhood. Our workmen can remove the building materials, heavy items, dust and grime from the floors, sills, walls and other surfaces. You can count on them to make your home spick-and-span again. 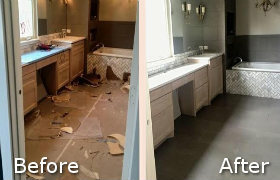 Use our professional cleaning services after construction, renovation and other work. By hiring the cleaners in our company you will have your sills, shelves, floors, furniture, appliances and all items wiped of the dust, hoovered, mopped and sanitised. Our staff can make your rooms liveable again after providing the proper cleaning procedures. They can carry out effective and thorough sanitising of kitchens, bathrooms, living areas, bedroom, hallways and lofts. Using high-quality machines, tools and preparations, our cleaners will make your home ready to be used and attractive. 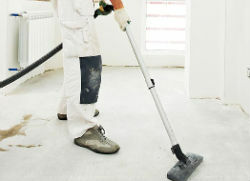 The final step before the workers leave the place is providing suitable and comprehensive cleaning. 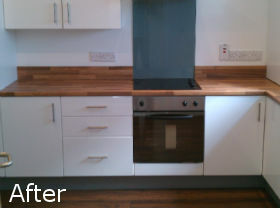 Use our services to receive excellent after builders cleaning in or near Kilburn with visible results. You can count on the cleaners in our company to sanitise thoroughly inside your just converted loft, renovated or repaired bathroom, kitchen, hallway and outdoor house areas. They use effective detergents, machines and tools which will save you time and make your property hygienic and ready to be used. Get in touch with out call centre or online chat to schedule the after builders cleaning we carry out in Kilburn to owners of domestic and commercial estates. We guarantee you effective cleaning procedures which will make your rooms and external areas look great.